Tasting Note: This limited release is triple distilled in traditional copper pot stills and made from the FINEST IRISH BARLEY. The first new release to come from the TEELING WHISKEY DISTILLERY, the first new distillery in DUBLIN in over 125 YEARS. Our Spirit of Dublin is bottled straight from the still with no maturation producing a wonderfully smooth spirit. 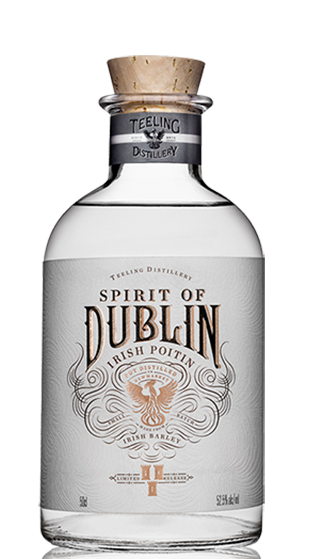 The Spirit of Dublin Poitín lends itself to be consumed in a variety of ways, neat, with water, with mixers and as a component of cocktails.